Aletia is a cultivator of connection and brings a diverse and varied background to her Soul Motion™ practice. As a Certified Soul Motion Teacher, years as an organizational consultant and non-profit leader, her spark for creative movement has catalyzed dynamic personal and professional changes—allowing for the emergence of SoulFul Dance. SoulFul Dance provides a transformative "foot" bridge between interior life and the conscious understanding of self and relationship to community. Aletia works with groups and individuals that see themselves as cultural creatives... those individuals, innovative businesses, artists, activists, healers, and seekers that understand that it is time to forge new pathways, find the courage to align, and listen to "the call" or "knowing." EmBODYment of this unique landscape and vital information sustains those in transforming their daily and community lives. Thanking Vinn Arjuna Martí, Zuza Engler, Selah Martha, Judith Alexander, Michael Molin-Skelton, Winky Wheeler, Allison Dey, and the Madrona Dancing Community as her most recent mentors and teachers. Michael reaches through dance rather than teaches to dance. He has been dancing since being pushed through the birth canal. After receiving a bachelor of fine arts degree from UCLA he performed and choreographed in companies both nationally and internationally for 15 years. He met Gabrielle Roth early in 1994. Later that year, at the request of Gabrielle, he began teaching the 5rhythms. Michael got his 5rhythms certification in 1998 and teacher certification in Soul Motion in 2001. He has been a 16 year student of continuum montage with Susan Harper and his teaching of the 5rhythms and Soul Motion has been greatly influenced by her mentoring. He is a certified Esalen massage practitioner since 1995 and is passionate about the art of touch. Allison Dey loves to explore life in a body; physically, emotionally, mentally and spiritually. She holds a BA in Social Sciences, after 30 years experience in teaching, training and social work, she is currently doing her life's work teaching Nia and founded Nia Port Townsend in January 2005. Allison is a Nia Black Belt Instructor. 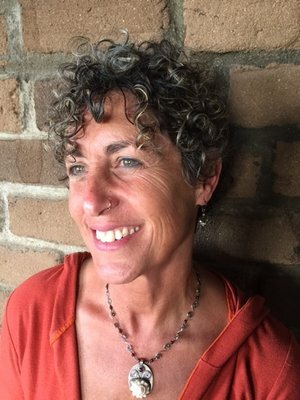 Allison has studied Nia, WildCore, Gabrielle Roth's 5 Rhythms, Soul Motion dance and other movement, meditation, healing arts, and body work modalities over the last 20 years. Allison has two sons, growing into adulthood. She loves to facilitate transformation in student's bodies using awareness, play, love and joy! She believes, "you were given this body, PLAY IT!" Ward Serrill has been dancing for twenty years: tango, swing, Lindy hop, salsa and open floor. He was a music DJ in Alaska for ten years. He is also a Certified Soul Motion teacher. He believes all healing must pass through the body; dance is the doorway. Whether running in circles in the schoolyard or circling partners at Catholic youth dances in the Bronx; these were a few of the places I experienced freedom and aliveness. Years performing provided a deep understanding of how to clearly occupy space. Time spent as a storyteller informed me how to speak with presence. Years spent working with young children informed me about patience. Later in my dance career I met Gabrielle Roth and I knew then that I no longer wanted to dance for people, but rather with them. This is what I offer. Freedom. Aliveness. Presence. Kristina completed the year-long teacher training apprenticeship at the International Soul Motion School™ with designer Vinn Arjuna Martí in 2011. Soul Motion™ inspires awareness and presence in self and with others; elements that lead to enhanced quality in our personal and professional life. Kristina believes that healthy, embodied leaders are more effective leaders. Leadership has several dimensions—the "what", the "how" and the "source". Through movement and stillness practice, she seeks to cultivate this third source dimension. The "source" is the inner place from which we operate; it is quality of intention and an awareness of work, play, and life. The source, this inner condition of self, has everything to do with our success. Soul Motion™ helps us achieve greater clarity, energy, and emotional stamina... on and off the floor.